Now, this is obviously going to be a subjective exercise, we all have our favourites, and some have deeper pockets than others, but here’s my list of what I have on regular rotation that covers 90% of my Martini drinking scenarios. The list also covers the key bases of the modern London Dry style experience, so if you wanted your collection to represent a spectrum of expressions of this most noble of spirits, then this will point you in the right direction. Caveat: this is not a statement about quality vis a vis others not listed, they are all excellent in their own way, and there are hundreds to discover. You’ll note it’s a mix of craft and mainstream labels from a few countries. Personally, I look for finesse, personality and versatility in my Gins. The more exotic types like Monkey 47 or the American Few range, are terrific in their way, but they aren’t necessarily more than special purpose / occasion options in my humble opinion, and can be a one shot wonder come drinking time if you follow me. A lovely craft Gin from the USA that launched in 2006. One of the first US craft Gins that made it big internationally, due its finesse and discrete use of botanicals. Side note: Some years back I had read about this Gin but never had it, until a few years ago in Manly, Sydney I was in a small bar that listed it… excited I ordered a dry Martini, and loved it. When I went to thank the bar person as I always do, they said sorry, they’d run out and had given me a generic English gin!!!! No one then said anything. I was shocked. But I got my money back, but finally had some a year later and have been hooked ever since. I find it feminine in style, it is refined, has a soft perfumed nose, and I find it hard to stay with just one cocktail when working with this, something of a date night Gin. It is restrained in its botanical notes, but has its own personality. All-round alluring, I guessing its a brunette with her hair in a pony tail, or perhaps a redhead in glasses…librarian type if you know what I mean. Not only the cheapest, but one of the oldest labels around pretty much. Always overlooked, but if you are looking for a solid, spicy dry Gin that offers depth of flavour, this is it. You can’t break it and you can make a decent Martini out of it. I opt for a wetter style. Besides, its been made with same recipe since 1862 and you have to know your Gin roots. 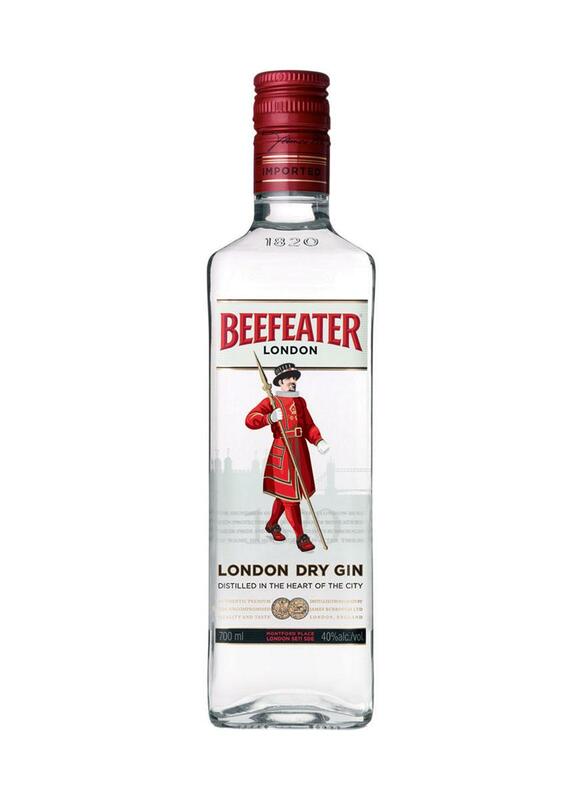 They also make an interesting range of boutique style Beefeater 24 gins, and have a fabulous new visitors centre in London and that city is always the edge of fashion. This exotic newcomer from far North Queensland (see my review here) is a real crowd pleaser. If I’ve people who are keen to try a Martini but are shy this is a great place to start – generous interesting flavours. Go easy on the vermouth and let it do the talking. Currently making quite the splash since it arrived in 2013 (see my review here), on this list it’s the most flavoursome with its zesty orange notes. Makes a killer Negroni, but as a Martini if you want to like yours with a (orange) twist or plenty of flavour it’s a good option to have. I was one of the first 500 to get a bottle thanks to a clever crowd-funding campaign, but now you can get it Dan Murphy’s. This is pretty much my go-to Gin most days. It is underrated I think, though sometimes you find it as a house-pour. Very good value price wise, soft on the palette, not super dry, and lends itself to all styles of Martini. They also make eight other very good Gins and keep alive the Sloe (the next big thing) and Old Tom versions. It is pretty hard to muck this one up, and it really wants to please you, plus its very forgiving of the novice Martini-mixer. Forget about the pure Icelandic water business and the marketing: its ‘just’ a superbly elegant, subtle and fragrant (I get lavender for some reason) supermodel of Gins. Always make your Martini bone dry with this, and very cold, and let this beauty make your world a better place. She knows what she’s doing. It is the most expensive on the list, but in this case you get what you pay for. For the record, I prefer this one over the Westbourne version. From a mountain top in Tasmania, made from its own spring water, this new release is, I think, one of the most exciting things to come along in the Australian Gin scene for a bit. Why? Because it is clean, elegant and not in your face flavour wise. It’s a straight up and down London Dry style that lends itself to a great Martini, or clean G+T all night long. The local scene needed a versatile, quality ‘clean-skin’ style and this is it. Not a native botanical in sight, not cheap, but seek it out and a detailed review is in the pipeline. Currently making something of a brand come back of late (mind its been around since 1793 ) it is the only Gin on the list to have a category all its own as a unique style, plus heritage listing for its distillery. Side note: I can’t stand the new (old) bottles, and much prefer the tall Deco style bottles that were changed a few years back. I kept a few and always decant the new stock into those to spite the marketing department. One of my top 3 favourites, its more fuller flavoured than say, Tanqueray, and offers a richer Martini experience on the palette. I find it a subtle Gin in many ways, and if you can get your hands on the Navy Strength version, then do. Again, for some this is an old-school option, worthy of the mini bar or duty free option only. But for a mass produced spirit it represents excellent value for money and you can mix in all sorts of ways Martini wise (wet, dry etc) and still end up with a quality experience. There is a reason it has been around for so long and is a must have for everyday drinking with some style. Mind, I’m not a fan of the Tanqueray 10 version, instead choose #10 below, pretty bottle though! From the great State of Western Australia comes this classy + robust expression that takes no prisoners. It has a higher alcohol by volume, 50%, so it packs a punch but in not in a way that is offensive, think of it as a man’s man Gin, or if you like your guys rugged, then take this out on a date. Using some native botanicals wisely, this Gin offers depth of flavour and spiciness (see my review here). Martini-wise you’ll get a rich but dry cocktail, and it also lends itself to drinks like Negronis and a solid G+T. Try it with a twist of grapefruit too or capsicum as a garnish. Oh dear … I am such a gin novice, I’ve not heard of any of the above. But if I was to pick based on coolness of label, bottle and name, Id pick the Botanic Australis. 🙂 Seems I’d be on the money being shy about the whole martini thing with this gin too. Off to Dan Murphys I go. Happy weekend to you. Glad I was able to reveal some more gin adventures for you. I’m a Hendricks gal, but I think it may be time to put my hands on a bottle of aviation. Hendrick’s is a terrific gin, no two ways about it… not my first choice for a Martini though, a bit too busy, but makes the best G+T in the world! I’ve recently started drinking Tann’s Gin, a premium gin made in Spain. Not sure if you’ve ever tried it, but I recommend!